Many people like to spend their free time hunting ducks. It offers them a chance to be outdoors in a refreshing environment. 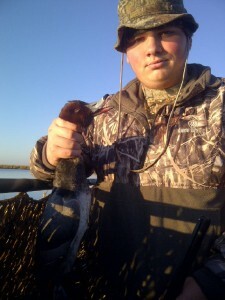 Are you Interested in Duck Hunting in Louisiana? Then you are at the right place! 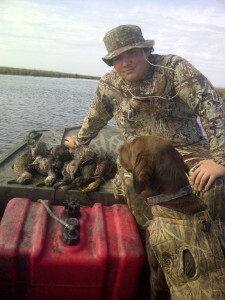 Coastal Charter Services offers the best duck hunting services in Louisiana with our well trained and professional Duck Hunting guides to offer you, our customers, the best service to make your trip memorable. Along with this we also provide bowfishing services with our professional fishing charters. We also specialize in providing Redfish charter services and also Speckled Trout Fishing to our customers. 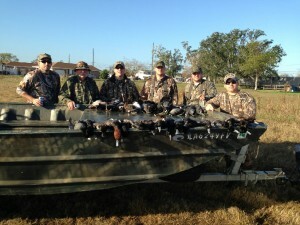 Coastal Charter Services, LLC provides seasonal Louisiana duck hunting. 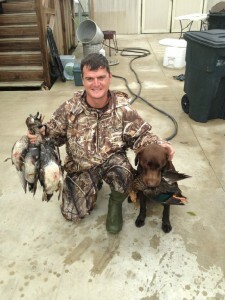 Captain Olden is licensed and insured with over 10 years of Louisiana Duck Hunting experience. Louisiana Duck Hunts are done primarily out of Dularge, Louisiana. The brackish water marshes hold a variety of ducks that migrate to the waters around Dularge Louisiana. Teal, gadwall (grey duck), mallards, wigeon, redhead, pintail, canvassback, and scaup are some of the ducks you can expect on your Louisiana duck hunting trip. 12 gauge shotguns are recommended with #2, 3, or 4 steel shot. We offer the most exciting GUIDED DUCK HUNTS Around! “Louisiana blast and cast” is our most popular trip. This trip includes duck hunting followed by a day of Louisiana charter fishing for redfish or speckled trout. It is the ultimate Cajun hunting & fishing experience. We can accommodate groups of all sizes. 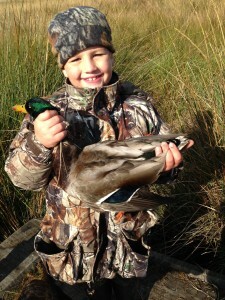 Give Our Duck Hunting Guide Service A Call To Book Your Next Louisiana Duck Hunting Trip. 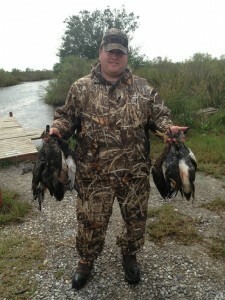 Coastal Charter Services has the best duck hunting guides and knows the best places to hunt ducks in Louisiana. This is the destination for millions of ducks and geese each year during their migration.